The funnel shaped feed horn has be redesigned to look more like a hat. 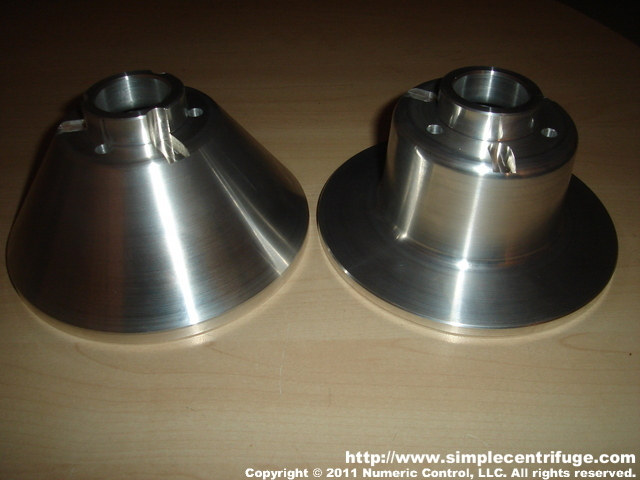 The hat design provides greater area inside the rotor verses leaving material in the feed cone. Changed the exit hole location slightly to improve flow.